Rewind 10 years and the legal services market was very different. Put simply, clients came to law firms for legal knowledge and process execution. The measure of a good lawyer was how much risk they could exclude for their client. Clients increasingly saw that avoiding risks at all cost was often at odds with their commercial objectives and entrepreneurial appetite. This tension was at the heart of an often challenging relationship between lawyer and client. Enlightened clients and law firms needed to find a new way that helped businesses embrace and manage risk putting informed commercial decisions at the heart of the lawyer client relationship. To keep up with the pace of change – let alone to lead the law firm of the future – legal firms need to be more innovative. For an industry that’s naturally risk averse and slow to recognize competition, that’s no mean feat. In fact, it is very difficult for law firms to genuinely innovate on their own – scale, the business model, the legal training system and the partnership structure can all pull against an innovative culture. To do this successfully, law firms need to think and work differently, including getting rid of the protectionist, siloed ways of working and being open to collaboration and joint ventures in a way and to a scale that law firms have never envisaged before. 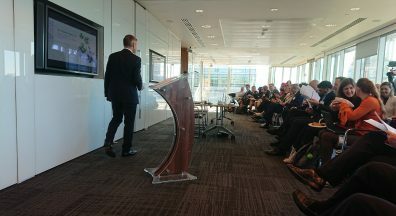 In 2011, Taylor Vinters' Head of Technology and Outsourcing in Asia, Tim Pullan, approached the board with the business case for what would become ThoughtRiver; software that uses artificial intelligence (AI) to scan and interpret information from written contracts used in commercial risk assessments and brings the data alive with visuals. The information is presented in a central online dashboard enabling in-house financial officers, general counsel and contracting functions across a range of business types to make better decisions more quickly. As advisors to large technology firms and some of the world’s most entrepreneurial businesses, we have lots of knowledge about the technology sector. So rather than seeing ThoughtRiver as a distraction or a threat, we embraced it. Instead of simply investing in ThoughtRiver, we saw mutual benefit and opportunity in Taylor Vinters incubating the technology start-up that had spun out of the firm in a similar way to the successful tech start-ups that have spun out of the University of Cambridge. The incubation model means that ThoughtRiver is run independently to Taylor Vinters, with Tim Pullan working full-time as Chief Executive. 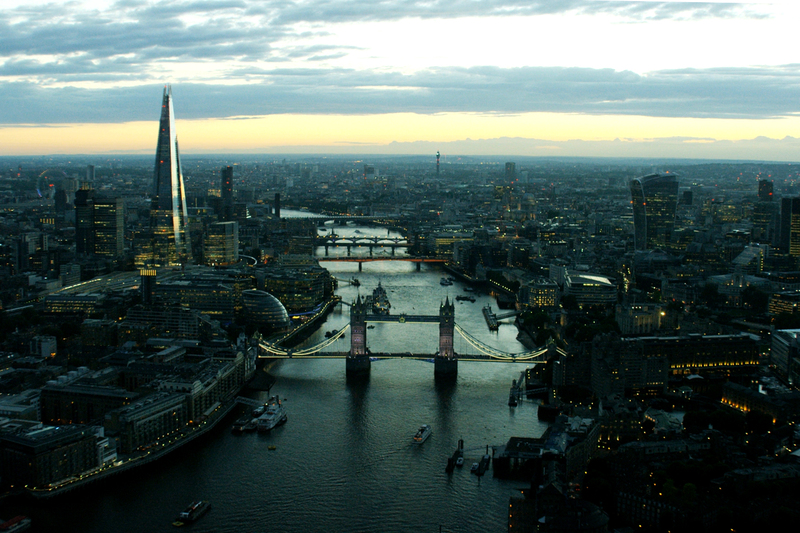 We provide ThoughtRiver with support, both financial and strategic, as well as office space, marketing support and strategic advice; Taylor Vinters’ Chief Executive Matt Meyer sits on the ThoughtRiver board. But there are no shackles, ThoughtRiver has the freedom to contract to other law firms, something we actively encourage and support for the business’s growth. As a start-up that’s trying to disrupt the industry, being on the ‘inside’ of an established, international law firm such as Taylor Vinters brings additional benefits too. 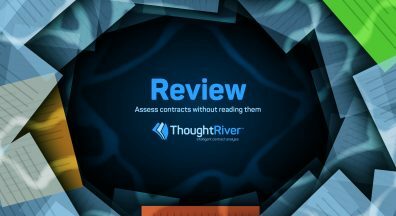 Surrounded by lawyers and potentially their future customers, the ThoughtRiver team receives immediate feedback on their product, a feedback and development loop that is accelerating the product’s development. 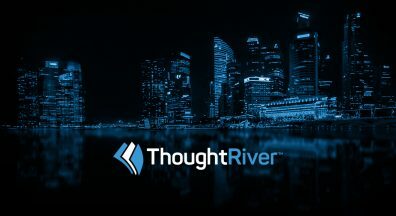 Located in our offices in Cambridge, London and Singapore, our close relationship with the ThoughtRiver team gives us invaluable insights into the challenges and opportunities that tech start-ups experience ‘at the coal face’. This has given us an even deeper understanding of the many entrepreneurial business we work with, and how we can best support them in making informed decisions, in taking entrepreneurial risk and in leveraging our networks to support their growth. Incubating and now partnering with ThoughtRiver also lets us see the legal services market through a different lens. Our lawyers get to sit alongside other specialists and tap into their expertise, including software developers and data experts. Culturally, this arrangement is cementing Taylor Vinters as an attractive and motivational working environment, which is particularly important for staff recruitment and retention, and continues to foster this culture in our junior lawyers. In April 2016, we formed a strategic partnership with ThoughtRiver as part of a wider strategy to improve our services for clients (as reported in Legal Futures, Legal IT Insider and Cambridge News). Our aim is to build a portfolio business made up of complementary companies that can provide a broad range of services, including risk management. Key to this is the use and development of legal technology. We are not the first firm to invest in legal technology but the incubation model is novel in legal services - this kind of collaboration represents a great opportunity. We have to accept that we are operating in a world that’s shifted significantly in recent years. Law firms who think they can continue the same as they always have, maintaining a status quo, will undeniably take a perilous path in the face of some very sophisticated competition. That’s not to say that robots will or should replace lawyers who add value far beyond transactional information, but as an industry, legal services must evolve both commercially and culturally to provide the best possible service for clients. For open-minded firms that are prepared to challenge traditional ways of working, embrace the seismic changes technology is bringing to our lives and who put their money where their mouth is to invest in new technology, the opportunities for growth and service are vast.